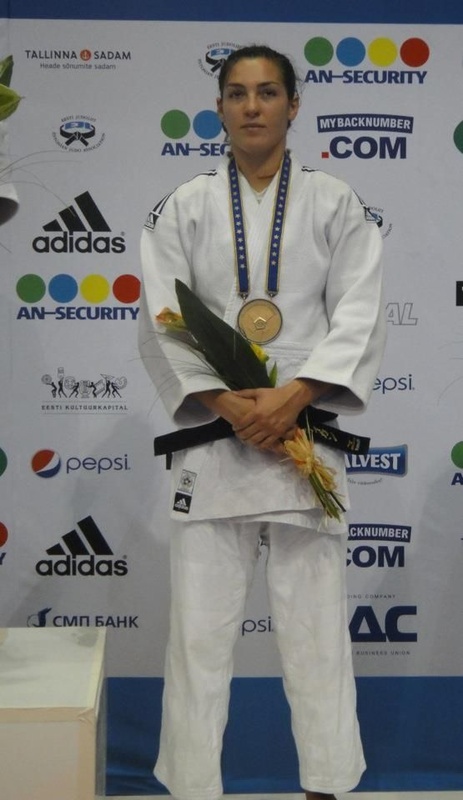 Lior Wildikan is a judoka from Israel. She finished 7th at the 2014 World Championships in Astana in the 78kg category. She is also part of Israel's Olympic team heading to Rio. She will be joining Israel Women's team at the 2016 NY Open Judo on March 20. She talked to us about her passion for her sport, the status of Judo in her country and what the future holds for her. Lior Wildikan: In the upcoming season, I will be representing Israel at the Summer Olympic Games. To achieve this goal, I will fight in a few Grand Prix competitions throughout Europe, and at the European Championship. LW: Fighting at the NY Judo Open means a great deal to our national team and myself. As you know, it'll be the first time a team of female fighters from Israel will participate in this great sport event. To have the opportunity to fight against some of the best teams in the world along the honor of representing my country, Israel, means a great deal to me and I hope we will have a good and successful time in NY. I believe there's a big Jewish community in NY and I hope to have some home crowd cheering for us at the event. In Israel, Judo is a really popular sport. Big events such as the World Championship, in which I was ranked 7th this year, and the European Championship are broadcast throughout the whole day of fighting, and competitions such as Grand Slam & Grand Prix are broadcast for the medals fights. In the last few years, the sport became more popular due to the great success our players achieved in the world circuits. Players like Yraden Gerbi, who won the title of World Champion in 2013, and Sagi Muki, who won the 2015 European Championship, help raise awareness of the public and the press. LW: I think Judo can be a real educational tool. Judo taught me the meaning of persistence, it taught me how to fight for myself and for what I believe in. Judo taught me a great deal of respect. I've learned the value of respecting my opponent and respecting myself. I've learned through my years in Judo that only through team work one can achieve the goals he or she set himself/herself to. I've learned that failure is part of the journey and I acquired ways to deal with it in a way that will only make me stronger. All these life's lessons and more, I've got from my time in Judo. Come watch Lior Wildikan and her teammates from Israel Women's team, and more Judo athletes compete on Sunday March 20 at the NY Open Judo.